Located on the edge of Kelham Island, Moss & Clover brings an urban florist to the old industrial heart of Sheffield. A wild, wispy and natural style of floristry, utilising fresh seasonal blooms and foliage to create unique bespoke bouquets for any occasion. Hello Cat here. Floristry is in my blood with my passion for all things botanical stemming from my grandmother who was a flower arranger and botanist. I have worked at our Nether Edge shop since the beginning before branching out to open my own little flower shop on Burton Road. In keeping with the Moss & Clover brand, I have expanded our services to the north side of the city and situated close by to many of the cool independent wedding venues. 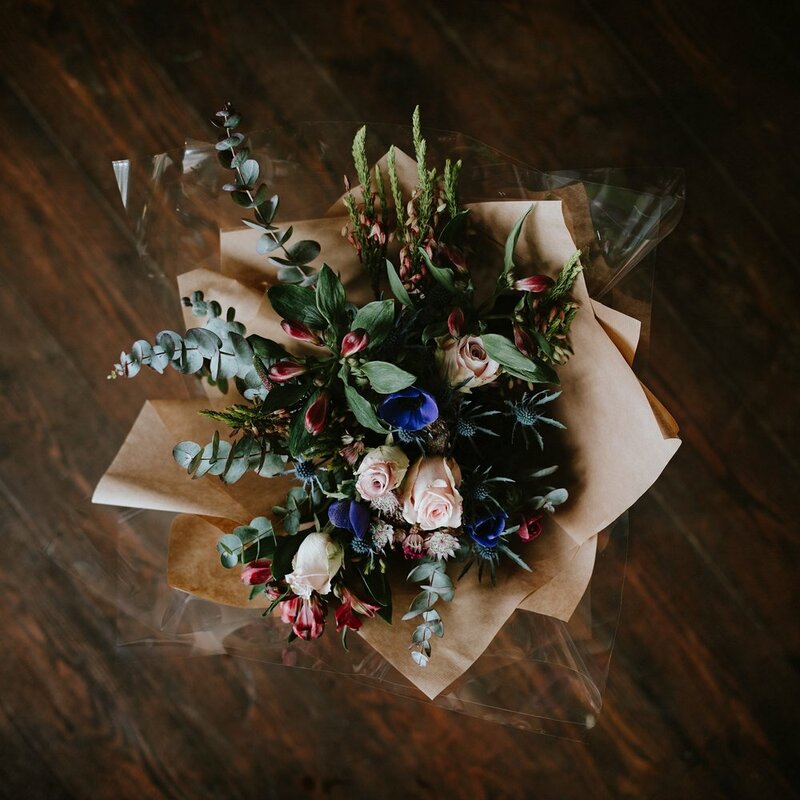 Whether you need bespoke blooms, plants to green up your space or you need our services for a special occasion; Moss & Clover Kelham has got it covered! Get in touch or pop in store, we can make it happen. A favourite part of the job! From our ready to wear bridal collection to bespoke packages, we can tailor to any budget. We are with our couples every step of the way: from initial consultation to your big day. 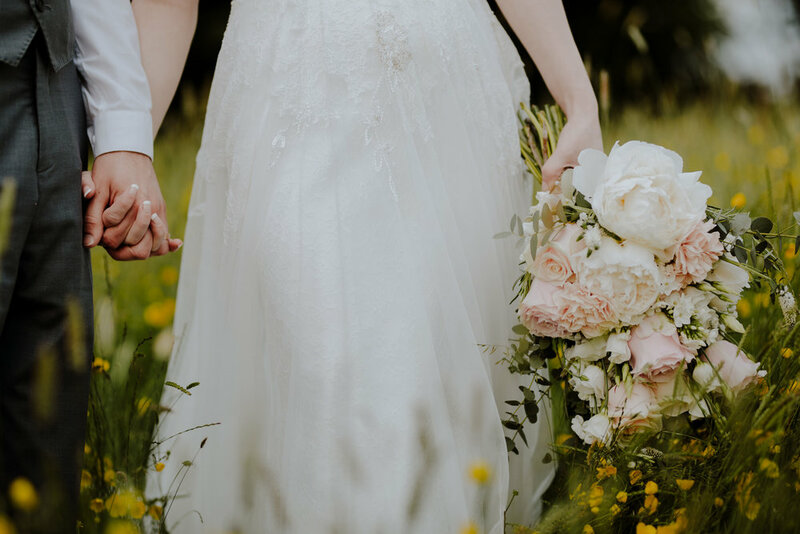 We’ll recommend the best seasonal flowers from our preferred suppliers and offer ideas to help create your dream day. Get in touch to book a consultation to talk about how we can make your flowers unique and special. We offer a range of seasonal blooms and foliage to create signature Moss & Clover hand tied bouquets. No two bouquets are the same! Choose from our every day bouquets or order a bespoke beauty. We can provide flowers for any occasion, simply order online, by telephone or pop in store. Every plant should have a home and we are here to help create your own urban jungle! Visit our shop to see the selection of houseplants available to green up your space. With every houseplant purchased we offer advice on plant care to keep your plant happy. Need something to dress your plant? We stock locally made macramé hangers by Northern Tangles and have a selection of ceramic pots for you to choose from in store. Want a specific plant? Just get in touch. We love to share our passion for floristry and run a range of seasonal workshops throughout the year. Hand tied bouquet, flower crown, terrarium and wreath workshops to name a few. Whether you want to learn some floristry skills or simply love flowers our workshops can be tailored to individual and group needs. Keep an eye out on social media for upcoming dates or get in touch if you are interested in booking a workshop.